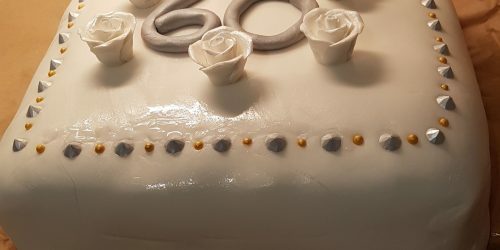 I made a cake for a diamond wedding anniversary the other year. As tradition in my family, a good amount of a bottle of brandy was added into the fruit cake before it was iced. This is was pretty fun to make if a bit fiddly. The cake is just a sponge cake, covered in buttercream. 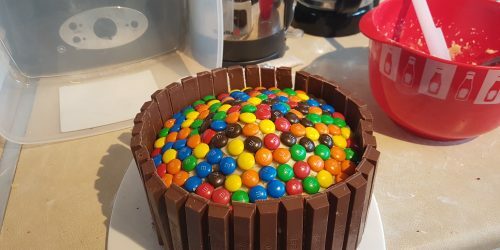 I then stuck kitkat fingers all round the outside and pressed individual m and ms all over the top.